My brothers had them. I remember the smell. When I saw the post for this, I immediately thought ofthe smell of burning rubber and other noxious fumes! 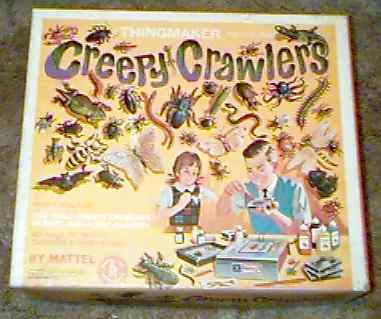 I didn't have the separate Creepy Crawlers set, Mine was a combination set of Vac-U-Form and Creepy Crawlers. Is a Thingmaker set and electric plug. Then trade 'em, sell 'em, good as gold. Thank you, Madison Avenue, for taking up valuable brain space for nearly 50 years.